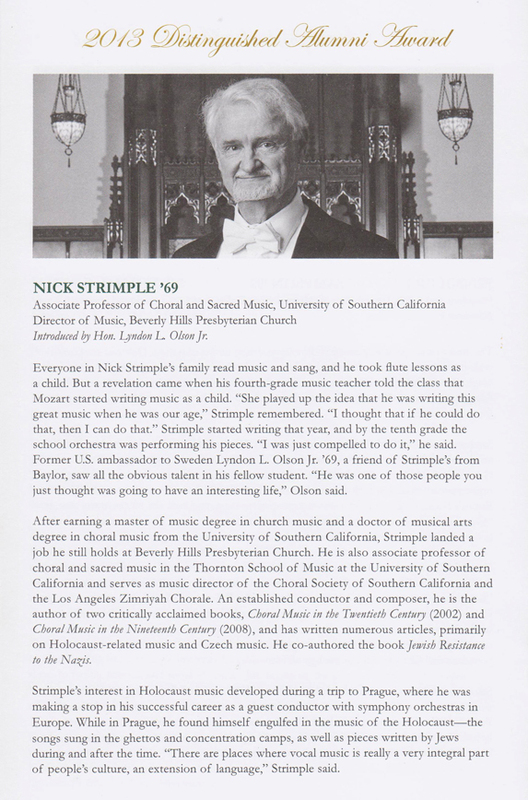 On January 25, 2013 Nick Strimple received Baylor University's Distinguished Alumni Award. 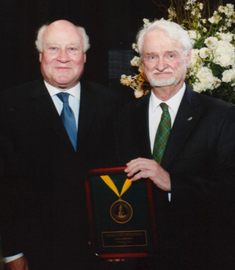 As the highest honor the Baylor Alumni Association bestows, this award recognizes Baylor graduates whose records of service in their professions and vocations have merited the honor and acclaim of peers and colleagues. Read the Baylor Line article highlighting Strimple's professional and academic achievements. The Baylor University Alumni Association magazine also published a post event article. 2013 Distinguished Alumni Award tribute journal page courtesy of Baylor Alumni Association Hall of Fame.